River Mesa - friendly little neighborhood tucked away from hustle and bustle of the city. Just North of Old Route 66 on Yukon Parkway. River Mesa is a beautiful neighborhood of single family homes. Located on the North side of Yukon, OK. The area was developed by Oklahoma's oldest building firm - Leonhardt Enterprises since 1907. The name River Mesa refers to its geographical location above the level of Canadian River. River Mesa - it's like living in the country. Away from hustle and bustle of the big city. This neighborhood is tucked away on the most north side of the City of Yukon. Main entrance with cascading fountain and Southwest inspired landscaping greets all residents and visitors. It is common to see residents walking or jogging. And children playing or riding bicycles along the River Mesa Drive or around the neighborhood. River Mesa is located between Mustang Parkway and Hwy 4/Piedmont Rd. Just 1mi north of historical Route 66 off of Wagner Rd. 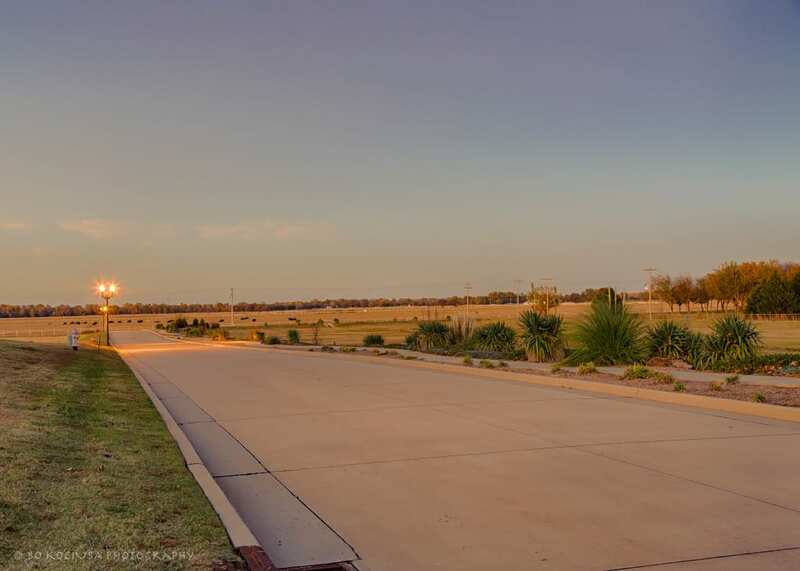 Location offers quick commute to anywhere in OKC Metro - Kilpatrick Turnpike, Rt 66 and I-40. River Mesa offers houses of remarkable quality and value. Each house is built with attention to quality. All homes are bricked and influenced by traditional Dallas style architecture. A variety of attractive floor plans of 3 & 4 bedrooms are available. Some floor plans offer office/study rooms in addition to 3 bedroom floor plans. River Mesa HOA with annual dues of $125.00 maintains common grounds at River Mesa Dr entrance.